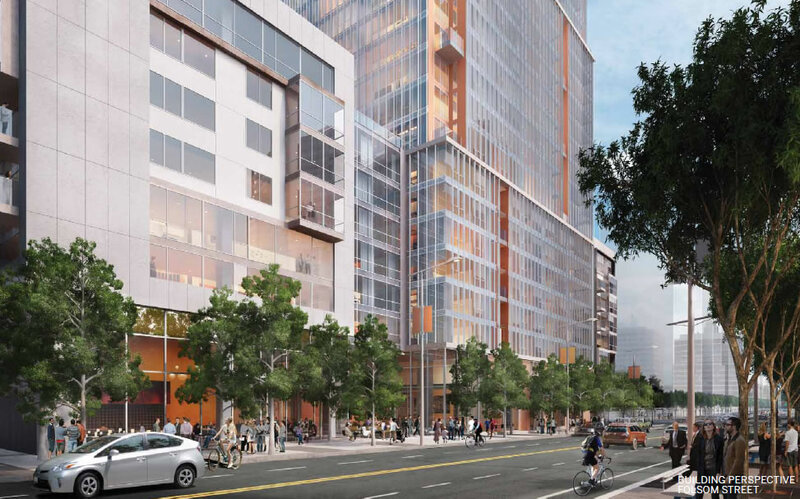 Building permits have been issued and the site prep for the 42-story Transbay District tower to rise up to 400-feet in height on the northwest corner of Folsom and First, across the street from Transbay Block 8, is now underway. 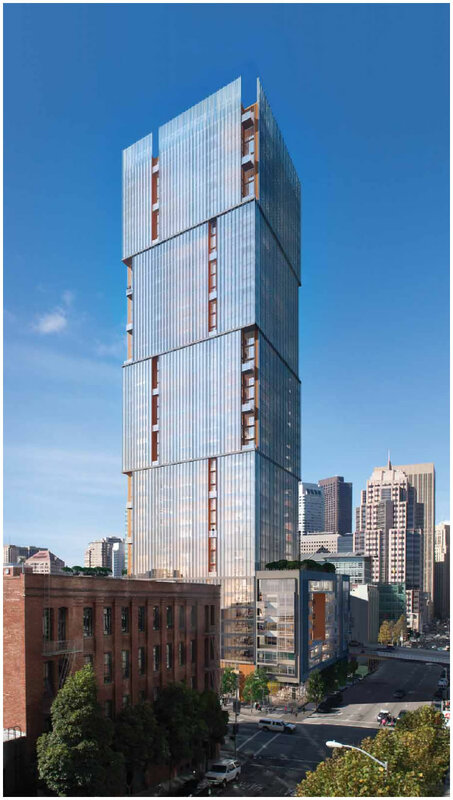 Also known as 500/510 Folsom, the Transbay Block 9 tower will yield a total of 545 apartments of which 436 (80 percent) will be Market Rate. The 109 Below Market Rate (BMR) units, which will be distributed across the lower 21 floors of the tower and the building’s 9-story podium, will be available to households earning up to 50% of the Area Median Income (AMI). 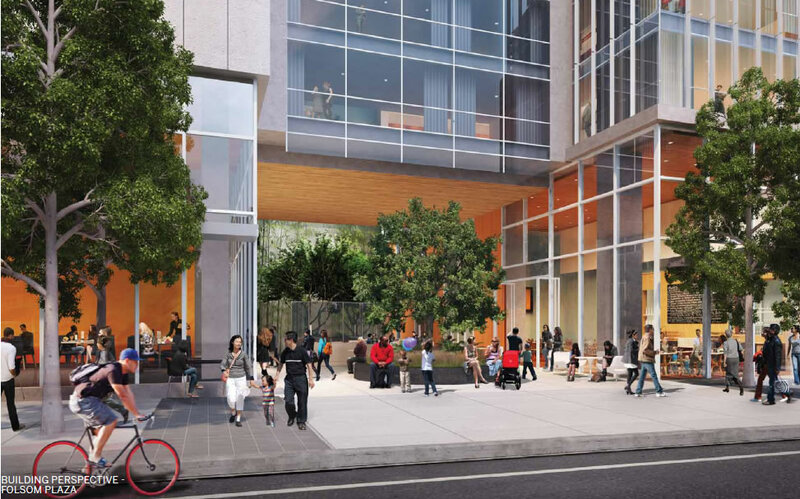 The ground floor of the development will include nearly 7,000 square feet of retail and a 3,000 square-foot open space, with an underground garage for 206 bikes and 267 cars. 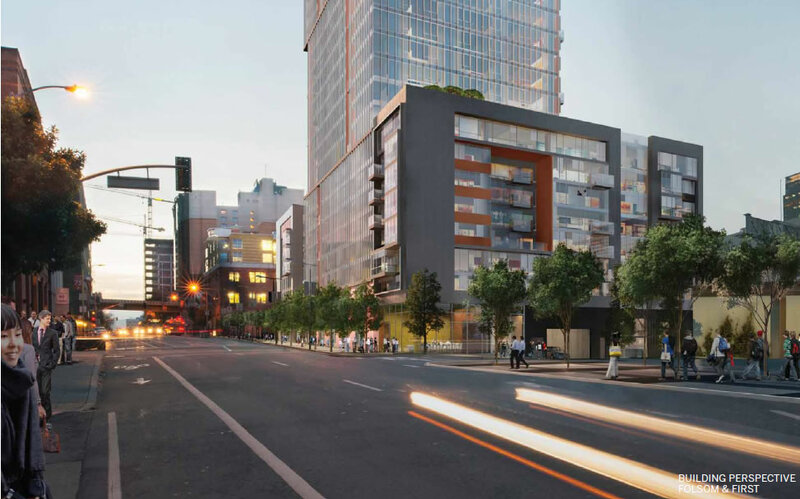 TMG Partners and Essex Property Trust paid $43,630,000 for the Block 9 parcel and construction for the $276 million development is scheduled to take 39 months, which means the Transbay District tower should be ready for occupancy in early 2019. 450′ midrise takes 38 months? Takes a lot of 18wheelers to remove soil from an urban area. 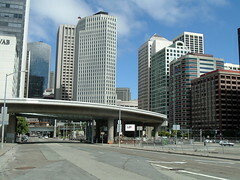 It is absolutely certain that San Francisco will not be a beautiful city at the end of the current building boom. We can still put pictures of the bay and the bridges and Alamo Square on the tourist brochures, however. yes THIS. THIS! This is what did it! This is what destroyed our city. The beauty of these former parking lots and barren wastelands will be lost to the sands of time! Replaced by hideous monstrosities of today’s most prominent architects. The city is gone. GONE I TELL YOU! /histrionics. Yeah you have no idea what you’re talking about. This area was a giant parking lot with sparse, old mid-rise office buildings. This 8 block radius was never ‘beautiful’. All the historic neighborhoods are miles away from the Transbay site. If anything, this building boom turned a concrete dump district into a world-class high-rise district, augmenting the historic parts of the city in the north and west. Maybe you should clarify what you were trying to say because as it is, your comment makes no sense. 90% of SF is ugly. Good grief. Have you ever been to this area? There was nothing beautiful here. Not even remotely close. Parking lots, warehouses, garages. When we start tearing down Victorian rowhouses for these types of buildings, you have a point. That’s simply not the case. Conifer, you absolutely know nothing about this neighborhood and are commenting from afar. This is SOMA, not Pac Heights or the Mission. SOMA has historically mostly been parking lots and warehouses. Why exactly do you think this isn’t an improvement over that? Most of SF has never been beautiful so I don’t see the issue here. Do you live in a postcard? The rest of us live in a city, so… enjoy that postcard. 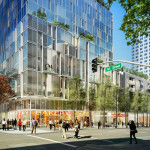 Not to mention how this building will ruin North Beach. Ruin it! I have gone to a few websites (Essex, city, others) and I can’t discern – will these be rentals or condos? As we reported above, “545 apartments” (not condos). I think the thing I worry the most about with the amount of highrise construction currently underway is the burden on the already crumbling infrastructure. Sanitary sewer and street surface conditions are the two at the top of my list. Shortly after that comes domestic water supply and traffic impact. The developers (and thus the tenants) are paying hefty fees for infrastructure and schools when they build these projects (to say nothing of the land purchase price building the TB Terminal). The sad thing is how poorly the city seems to manage the funds. And I do miss places like Caribbean Zone and seeing SRL shows South of Market. Times they are a-changing. Yup… it was fun when Dimension 7 would do a Video Salon (I think that was what it was called). 40 or so artists doing video projection on a 6 story, one block long white wall. I’d drive there in my convertible and just watch and listen, with the heat turned on full blast. Now that lot is the Infinity. Like most things in cities, it blinked into existence for a few years, only to be replaced by something else a few years later. That’s what make cities so special, everyone experiences them in a unique way at a unique time. nice reminiscence Frog, and a good explanation. That’s why there are NIMBYs left in SF and that why some of us have gone on. interesting…Goettsch beat SOM to the punch by a long shot…enough for copyright infringement suit?